Q. Among all JAXA’s efforts last year, what earned the most acclaim at home and abroad? I would put the completion of Kibo, the Japanese Experiment Module on the International Space Station (ISS), at the top of the list. The ISS project started more than 20 years ago, and finally last year the human space facility was finished. Astronaut Koichi Wakata made great contributions to finish the assembly of Kibo. He stayed in space for about four and a half months, from March to July 2009, and not only played a major role in the building of the ISS, but also conducted many space-based experiments, including a medical experiment in which he volunteered to be a test subject. 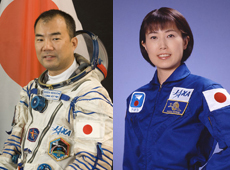 It was the first long space mission for Japan, so the staff on the ground also gained valuable experience in many areas, including the management of astronaut Wakata’s health. In the end, I am very happy and relieved that astronaut Wakata returned to Earth safely. Also, in September, a demonstration flight of the H-II Transfer Vehicle (HTV) - a new cargo transporter to the ISS - was launched via the H-IIB Launch Vehicle, and concluded its mission by docking to the ISS successfully. We also received recognition for the Greenhouse Gases Observing Satellite (GOSAT) IBUKI, which was launched last January. IBUKI measures the density of carbon dioxide and methane, which are causes of global warming. We started distributing its data to scientists last October. 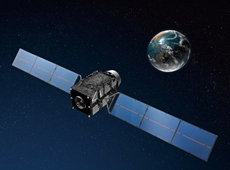 Because IBUKI is currently the only satellite of its kind in the world, its contribution to global-warming science is highly anticipated both in Japan and abroad. In addition, the lunar explorer KAGUYA concluded its mission last June, with distribution of its observation data beginning last November. With 14 onboard scientific instruments, KAGUYA gathered a wide variety of observation data, which I expect will help advance lunar research, deepening our understanding of the moon. Thanks to these outcomes, Japan’s space program is highly valued around the world, and as a result, I think that the Japanese people’s interest in space is growing. Q. Could you tell us about Japan’s plans for human space activity in the upcoming year? The highlight of Japan’s human space activity in 2010 is the long-duration mission by astronaut Soichi Noguchi. As the second Japanese to attempt a long-duration stay in space, he launched into space in the Russian Soyuz spacecraft in December. He is scheduled to stay on the ISS until May to carry out various space-based experiments and perform maintenance on the space station. 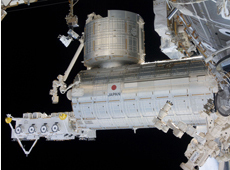 With the completion of the ISS, the Japanese Experiment Module Kibo will begin full operation. Experiments in both of Kibo’s research facilities - the Pressurized Module and the Exposed Facility - begin in earnest this year, so I have high expectations for astronaut Noguchi in that respect, too. Also in March, astronaut Naoko Yamazaki is scheduled to take off aboard the Space Shuttle to resupply the ISS and to operate the robotic arm. Since astronaut Noguchi will be in orbit during this mission, it will be the first time that two Japanese people are in space at the same time. 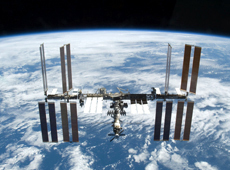 As utilization of the ISS goes into full swing, it is important to think about how to operate Kibo effectively. Kibo is operated around the clock, 365 days a year, by about 60 staff in the Flight Control Room at the Tsukuba Space Center. Their support makes it possible for astronauts to perform their missions. The ISS is operated jointly by flight control rooms in the United States, Russia, Europe and Japan, so I believe that the role of the JAXA Flight Control Team is extremely important in terms of learning international cooperation, too. Q. What is the focus of discussion regarding the ISS internationally? The heads of the five participating space agencies of the United States, Russia, Europe, Canada and Japan gather about once a year for a meeting called the Heads of Agency. While the ISS has been under construction, our main agenda item has been the coordination of the construction schedule. However, as the ISS is scheduled to be completed this year, I think that the discussion will now shift to its operation. Operations are already planned through 2015, and it will soon be time to chart a course for 2016 and beyond. That discussion started last year, and our first step in preparation for continued operation is to investigate the status of the space station’s facilities and supplies. We have a good forecast so far. Last year in the United States, President Obama put together a panel of external experts, known as the Augustine Commission, to review the U.S. human space flight program. They recommended to the President that ISS operations be extended to at least 2020, in order to maximize the space station’s utility. I think the continuation of ISS operations will be one of our main topics at the next Heads of Agency, which will be held in Tokyo in March. Q. What is JAXA’s major focus in 2010? We are scheduled to launch the Venus Climate Orbiter AKATSUKI (PLANET-C) and the first Quasi-Zenith Satellite (QZS-1). AKATSUKI will observe the Venusian climate, such as the atmosphere and wind. The AKATSUKI launch will also include the Small Solar Power Sail Demonstrator IKAROS. This is a solar yacht that moves by gathering sunlight on a sail-like membrane. The result is much anticipated because, if the demonstration goes well, IKAROS will be the world’s first solar-powered sail. In addition, four small satellites developed by universities are also scheduled to be launched. We welcome piggyback satellites, to give universities and research institutes a launch opportunity when there is room on our launch vehicle. We made the first public invitation with the IBUKI launch last year, and this is our second time. I hope this opportunity inspires the building of satellites in the private sector. The Quasi-Zenith Satellite (QZS) is a demonstration satellite to improve the accuracy of positioning by enhancing and complementing the U.S. Global Positioning System (GPS). The satellite always appears near the zenith above the region of Japan, so the system allows us to receive its signal without disruption even in urban canyons or mountainous terrain. By combing the QZS and multiple GPS satellites, we will be able to obtain more accurate positioning information, particularly in Japan. If we can successfully enhance and complement GPS, I think that the full application of positioning satellites will be considered in Japan, too. Also, the asteroid explorer HAYABUSA, which was launched in 2003, is scheduled to return to Earth in June. Its capsule is expected to land in the Australian desert. It will be the world’s first retrieval of a capsule that has returned after traveling beyond the Moon and landing on a celestial body. I have strong hopes that the capsule will return to Earth safely with samples from the asteroid Itokawa.